Fans of Hansel and Gretel started making the sweet little models in Germany during the 19th century and today the art form has reached outrageous new heights. L.A. landmarks, a ride at Disneyland, and even a working restaurant have been crafted in fondant and gummy bears and you can gawk to your heart’s content. 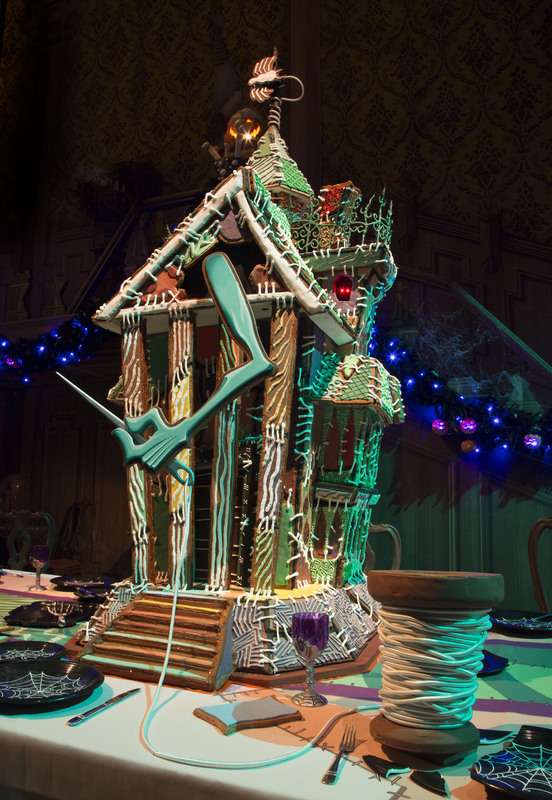 Culinary artists from the San Fernando Valley to Orange County have created spectacular confectionary dwellings large enough to walk around in and detailed enough to require a magnifying glass. What better way to entertain out-of-town kiddies than to take them to play inside of a fantasy house made out of literally tons of sugar. 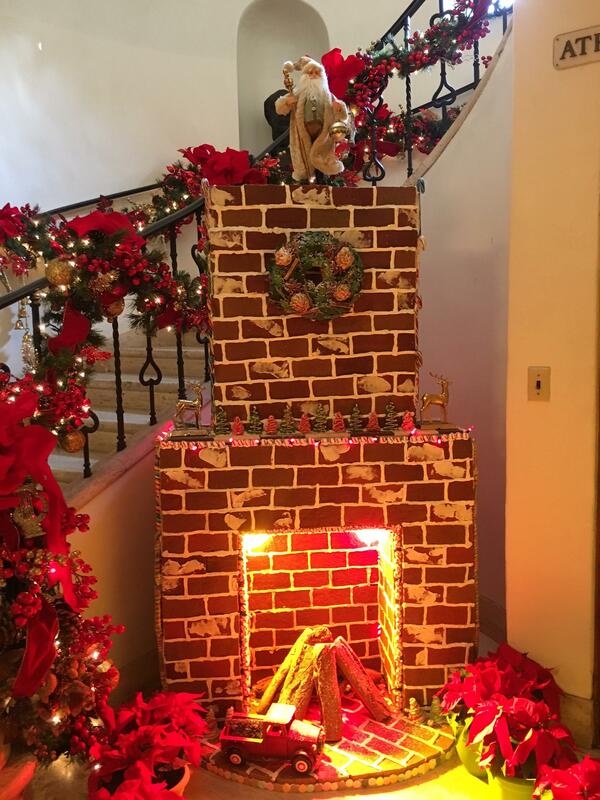 Here is your guide to L.A.’s best gingerbread houses of 2016. 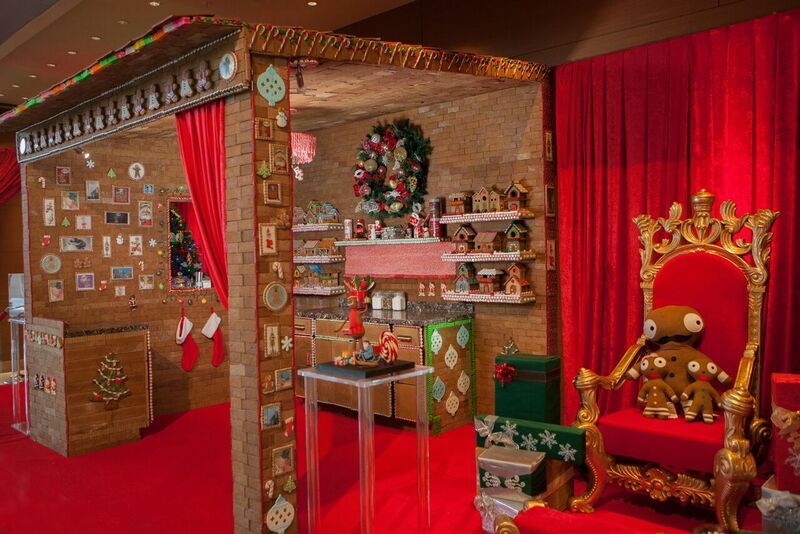 The astounding life-size Mrs. Claus’ Kitchen is made from 1,300 pounds of spiced cookie dough and is entirely edible. Picture frames are made from sugar and lights from candy canes. The hotel has declared Dec. 17 “Holly Jolly Saturday” offering ice skating, holiday snacks, a Santa meet-and-greet, and spiked hot chocolate for the grown ups. 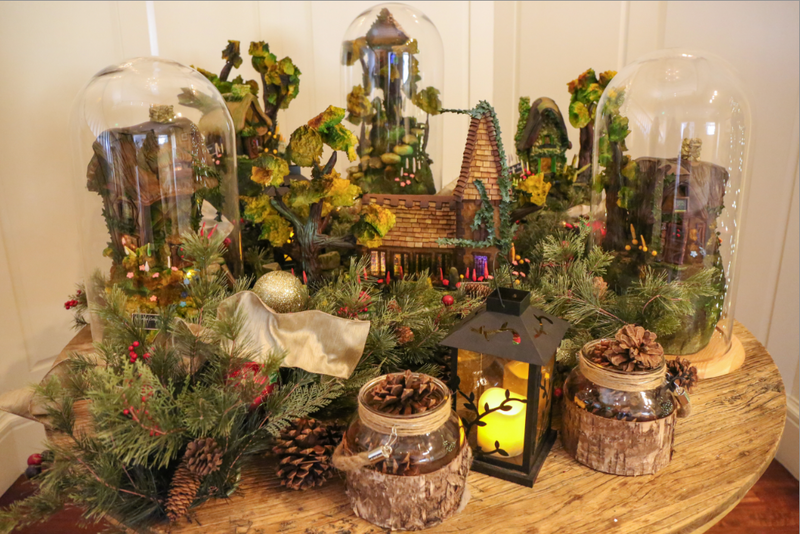 The most elegant display of the year has got to be “Summerdown,” a group of incredibly detailed storybook cottages built in and around bell jars candles and pine cones and housing an eclectic group of imaginary residents. Look (sniff?) for the gardener planting lavender and mint, the birdwatcher searching for swallows, and the St. Nicholas chapel. 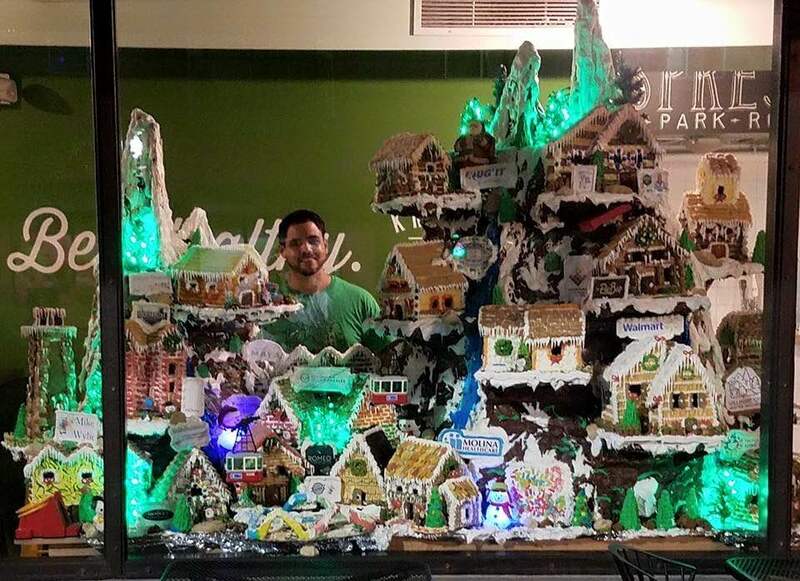 Isaac Salgado pays homage to the historic Willmore City district in Long Beach with his 8’ high creation in the window of a neighborhood deli. Salgado spent 15 years as a chef and the last 3 months baking and assembling the tribute to his hometown, including local landmarks Lions Lighthouse and The Loop. 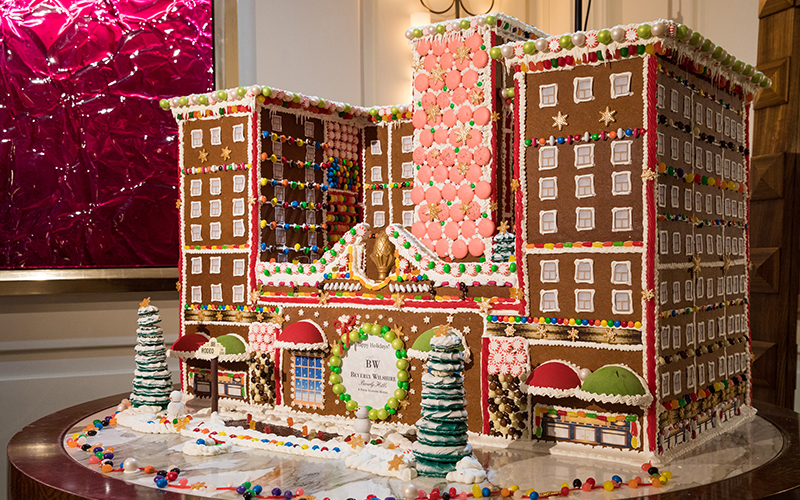 An Architectural Guidebook to Los Angeles describes the Beverly Wilshire Hotel as “Italian Renaissance strained through Beaux Arts.” This gingerbread version of the 1926 landmark by executive pastry chef Chris Ford is the hotel strained through sugar and flour. Ford worked for Thomas Keller and Bryan Voltaggio before joining the classic hotel and creating this neo-classical masterpiece. 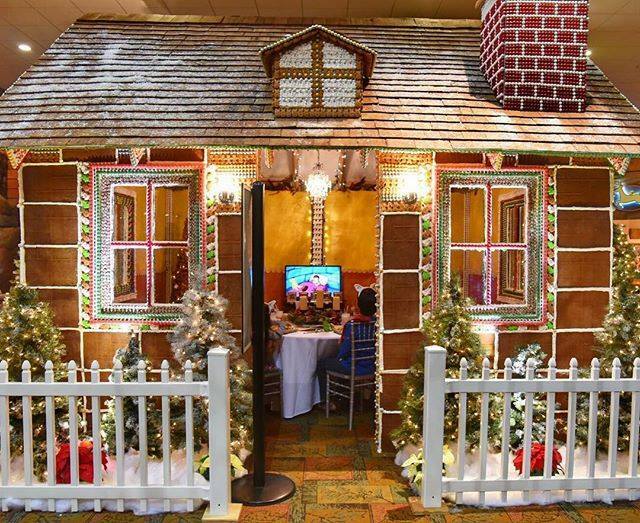 Not only is this gingerbread creation life-sized, but you can actually live inside it. For a donation of $10 or more, (benefitting Ronald McDonald House), an entire family of ten can spend one hour inside the house sharing a meal (the hotel’s restaurant caters) or watching a movie (DVDs including Elf are on the shelf) before heading to the pool at this indoor water park. 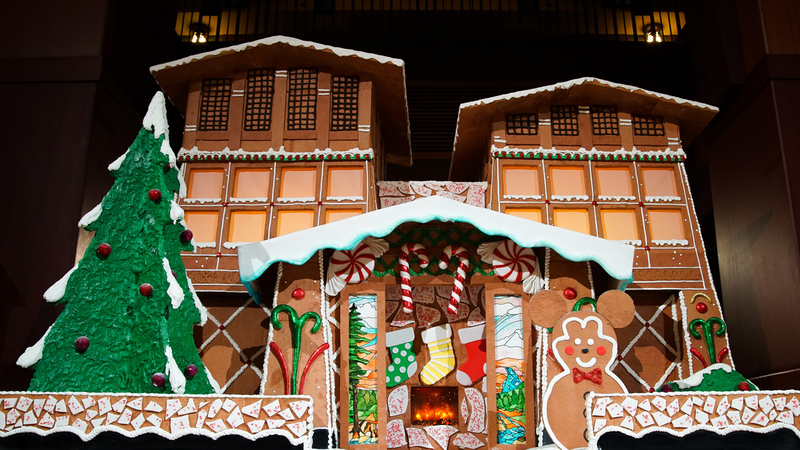 It took an entire class of young chefs to create the Gingerbread Village at the Westin Bonaventure hotel. Each student from the University of Antelope Valley Culinary Institute worked six days a week to create over 200 structures (only 90 were used, including a model of the iconic hotel itself) Next year the school plans to make more than 1,000 houses to set a new world record. 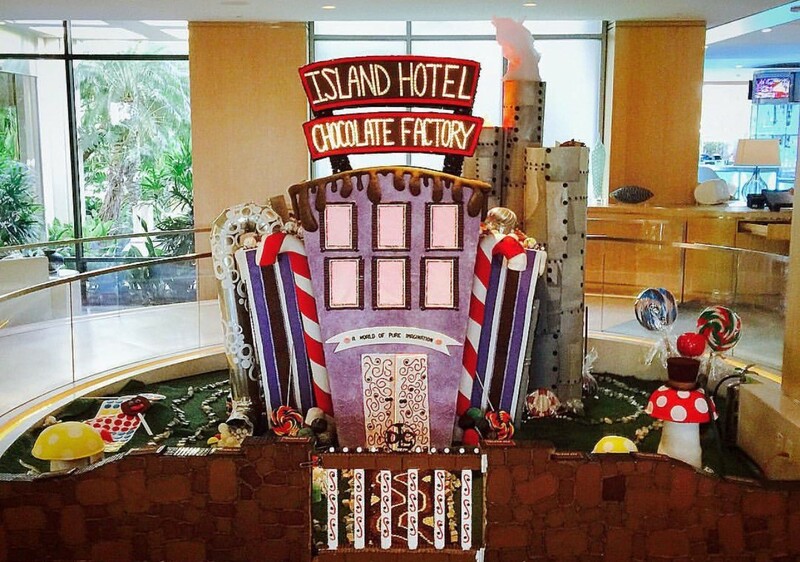 The edible chocolate factory was created by the hotel’s pastry chef Andy De La Cruz as an homage to the world of Willy Wonka. Watch out for those golden goose eggs that Veruca Salt wanted so badly, the chocolate pipes that sucked up Augustus Gloop, and Wonka’s tiny top hat and cane. 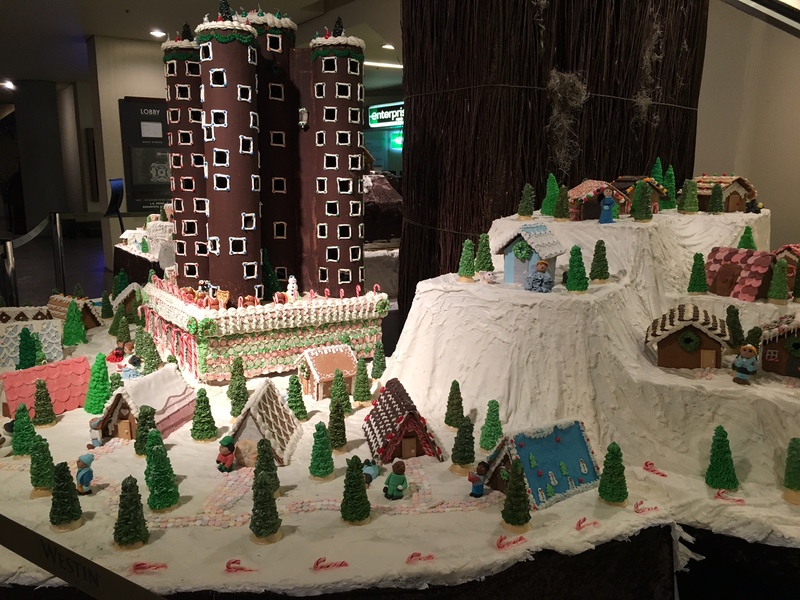 The soaring Arts & Crafts style Grand Californian hotel is the inspiration for this 7’x12’ gingerbread model made with 600 pounds of sugar, 150 pounds of fondant, and one pound of glitter. A second house, a ghostly miniature based on The Nightmare Before Christmas, rests inside the banquet room of the Haunted Mansion. Chef Patrick Fahy, formerly of the French Laundry, created the display. Look for influences from Tim Burton, Dr. Seuss, and the new Rams stadium in Inglewood. 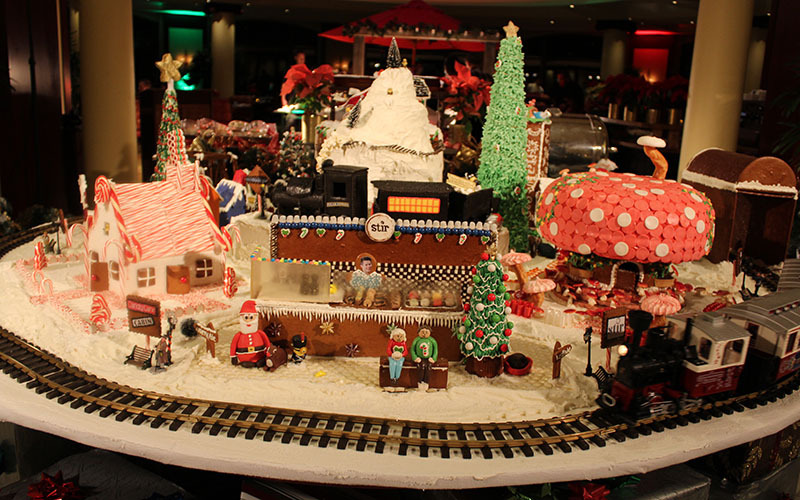 A model train circles the creation, and is complete with a gingerbread tunnel. The houses will be auctioned in a benefit for the Boys and Girls Club. 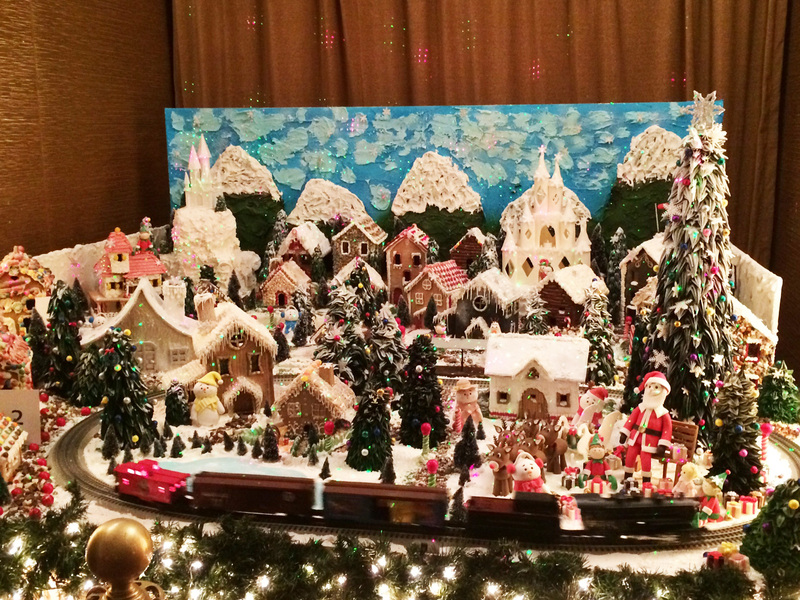 Elementary students from nearby San Marino crafted some of the houses in the hotel’s charming little candy town set against some sugar-covered hills. Railroad tycoon Henry Huntington owned the hotel more than 100 years ago, so it’s not surprising to see a little toy train circling the display. Albert Einstein was the guest of honor for the first dinner at the Caltech Athenaeum. The private club opened in 1931 and is an elegant refuge of carved wood and curled iron. 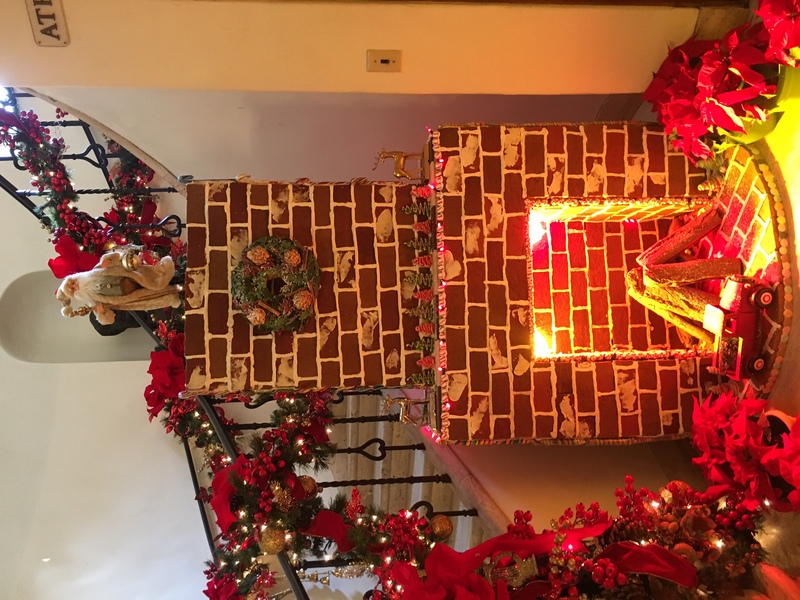 If you ask nicely they will allow visitors into the lobby to see this year’s gingerbread creation, a confectionary fireplace tucked beneath the spiral staircase. Executive Chef Kevin Isacsson used candy canes, sweet stripes soft peppermint candies, and Hershey’s white and dark chocolate bars for the mantle and chef Gia-Yen crafted the wreath from pâte à choux with leaves and flowers of fondant and pine cones made from slivered almonds.